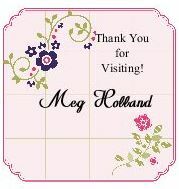 Here is one of the cards we made at my Card Club workshops this month featuring the Wondrous Wreath Stamps and Framelits. Isn't it gorgeous? 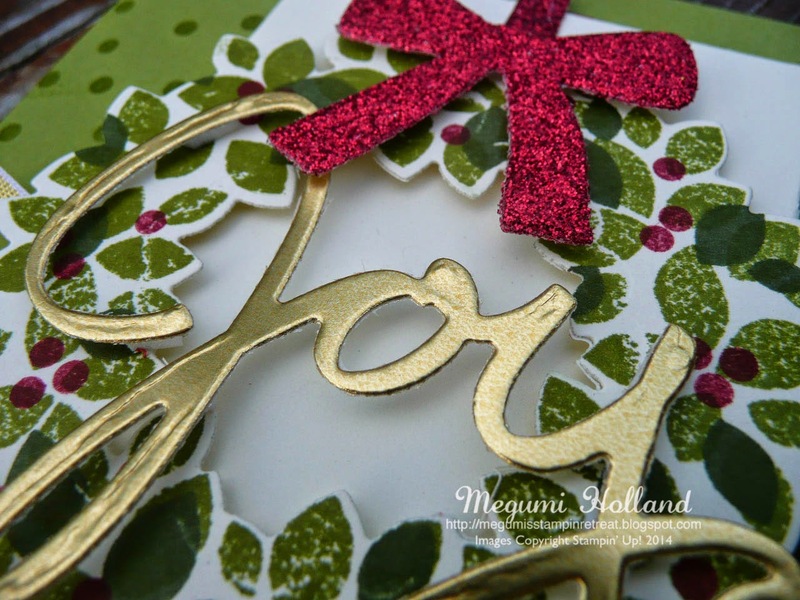 The word "Joy" is included in the Wonderful Wreath Framelits Set. We die cut it using a piece of Gold Foil Paper. It's really pretty! Don't forget to stamp inside of your card! 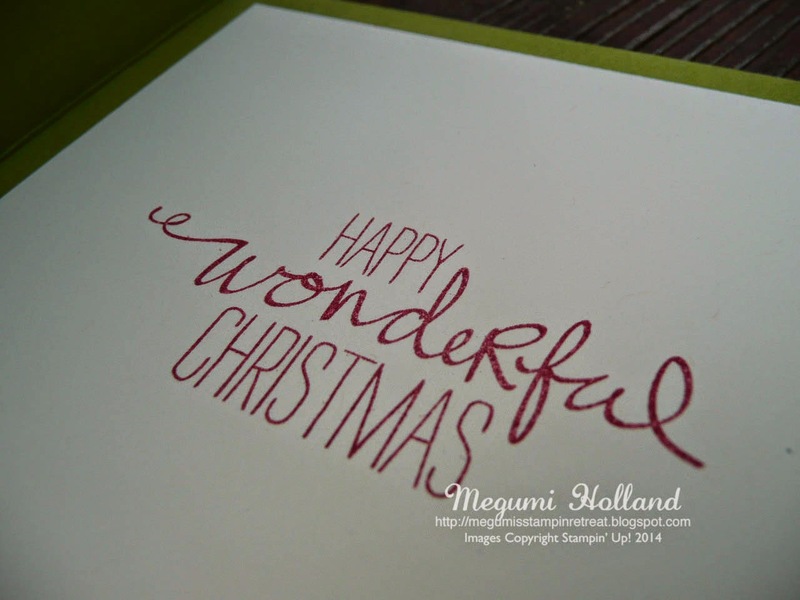 I love it when a stamp set has greeting stamps that you can stamp inside of your card.